It would be great if we could collapse the diff of a file when reviewing a pull request. That would allow us to reduce the scrolling area as we go reviewing. Is this feature already on your roadmap? The Excluded files filter is only available in the new pull request experience. It is not currently on our roadmap, but we'll discuss whether it should be during our next planning meeting. @Nicolas Venegas any updates on this issue? If anyone is interested, I have created a Chrome extension that is not fully functional but has been showing really helpful on my PR's. There is a public repo at https://bitbucket.org/virgiliofavero/bitbucket-pr-helper with the code. Looks like this has been implemented, and reviewing commits has become substantially better for us. @jpaddle Short and sweet. It's working great. Thanks! 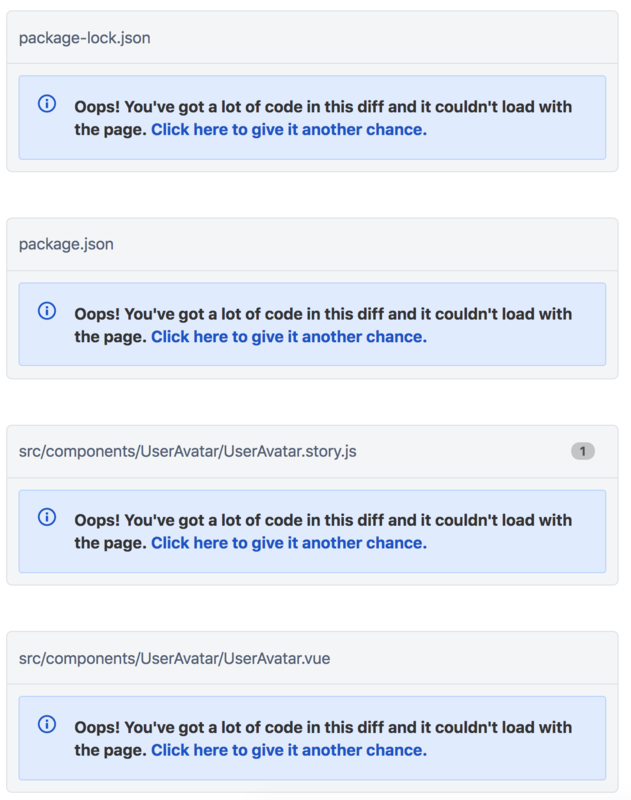 Can't take a min out of one of your jquery developers' days and get them to implement this, atlassian? Issue #13333 was marked as a duplicate of this issue. Would love to see this to be added. Whenever there is a commit with multiple files or including libraries, this feature will be super handy. Any progress on this since 2013? +1. And in all honestly, even if this is not considered to be the feature with the most aggregated value there is, in four years this could have been implemented, could it not? Team, Bitbucket is awesome but this would be a very welcome refinement. I haven't used Bitbucket PR reviews for a while. For you all that are using it, you can have a look at the Chrome extension I created a while back that would help with this issue. There are files across many different platforms that are necessarily in source control but unnecessary to review. I've already seen a request to exclude certain files from PRs get the WONT FIX tag, but the ability to manually collapse a file seems like a no-brainer for those of us with these types of files. We've got a 'Show more lines', please, please add a collapse option that simply brings a thousand line file commit to it's minimum displayable. I won't even complain if it's hidden in the ... menu. Issue #14901 was marked as a duplicate of this issue. +1 .lock / files in general should be collapsible. Any expected time on delivery of this @Alastair Wilkes ? Then, you can just click that bookmark any time you want minimize buttons to show up. Issue #12689 was marked as a duplicate of this issue. @Paolo Campanella Raez what is? +1 We use Thrift a lot, which generate 1000s of lines of code which gets loaded and then the files we actually want to review don't. This is a feature of the Chrome Extension / Firefox Add-on that I maintain, refined-bitbucket, and works well. Perhaps some of you might be interested to give it a try in the meantime. If you find it useful, please take some time to give the extension a rating in the store so that other users can find it! Issue #15494 was marked as a duplicate of this issue. Issue #15606 was marked as a duplicate of this issue. @Alastair Wilkes, can you give a reason why this isn't being worked on? It really seems like there's unanimous support, and it feels as though it could be done in minutes. @Sam Lobel - we are actually working on this (and other PR improvements) - stay tuned! See the Linguist library for GitHub. It's great! Issue #15270 was marked as a duplicate of this issue. +1 And please collapse package-lock.json, yarn.lock and similar huge files by default. Everytime when I review PR, I'm crying while scrolling down these files. Or very often these files stop the rendering other files after. @Pierre-Henri Trivier What about keeping these well known files as settings in profile? Every user will be available to manage their own preferences. By default this list can be empty. And if I tired of yarn.lock file in my diffs, I can just add this file name into this list in my profile settings and it's done - file will be collapsed by default in every PR or commit diffs only for me. Does anyone ever want to see the deltas of an automatically generated .lock file by default? I cant see a use case for that. @Ryan Korczykowski Yes, there are cases where this might be necessary. They shouldn't be completely deleted from the page. @Pierre-Henri Trivier User should be the one who decides what files should be collapsed. Bitbucket can have some suggestions on it, but it should be configurable. Like I said, that's how the feature was designed in Refined Bitbucket. @Ronald Rey Okay, I'm installing this plugin right now. It would be great to have this one right in bitbucket ;D Atlassian, come on! @Ivan “Binakot” Muratov Great, hope you find it useful. I wrote that extension myself so let me know if you have any feedback. @jpaddle you are a legend, Thanks. Issue #17036 was marked as a duplicate of this issue. The way it currently works in a pull request is if there's one single file diff that's too big to load, it doesn't load ANY of the diffs from the other files (see attached screenshot below). It's a frustrating user experience. Ideally, it should auto-collapse individual code diffs that are too large to display, and load all of the other diffs. That way, if a user really wants to inspect a large code diff, they can click a link to "expand." The app can then fetch the diff from the server and have it load to the page. This feature is available in the new pull request experience public beta, which is now available for opt-in. We created the new experience to help reviewers assess changes more quickly. You can read more about all the new features of the new UI at the Bitbucket blog. Note: some features from the existing experience have not been migrated to the new experience yet. Click here for more details. @Yonas Hassen - that issue will be resolved when we solve #7723. 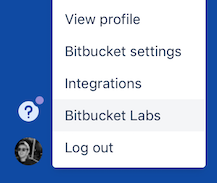 I am not seeing "Bitbucket Labs" after clicking my avatar. I looked through all the links and could not find it. Can you send more detailed instructions, or maybe even a screenshot? Issue #16777 was marked as a duplicate of this issue.